The latest space adventure by Crescent Moon Games has just hit the Play Store and it'll take you places you never imagined. Morphite 3d (full) is an epic FPS and planet Exploration game perfect for players of all ages and gaming expertise. You play as a girl named Myrah Kale, who will journey through the farthest reaches of space finding out the truth about herself in the process. 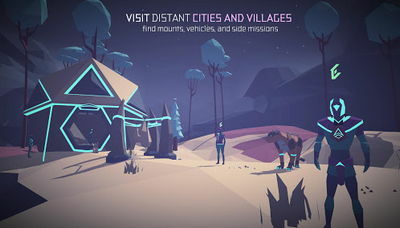 Explore different planets and unlock various mysteries in search of the Morphite. Play the first two planets and explore random planets for FREEPay to unlock the full story mode to get all of the weapons and powerups. The game features randomly generated levels, epic storyline, different creatures to meet, gorgeous locations (landscapes, caves, rivers,etc), alien-infested space stations, plus much more. Please visit the Play Store for more info! NOTE: This is the Final Beta for Morphite. If you are getting a black screen on loading, please reboot your device so it can load the expansion file.